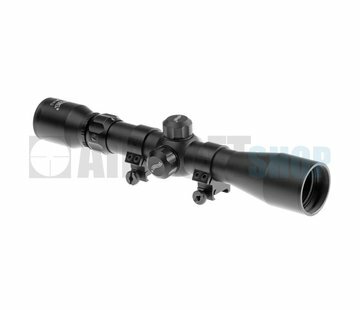 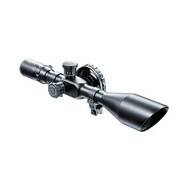 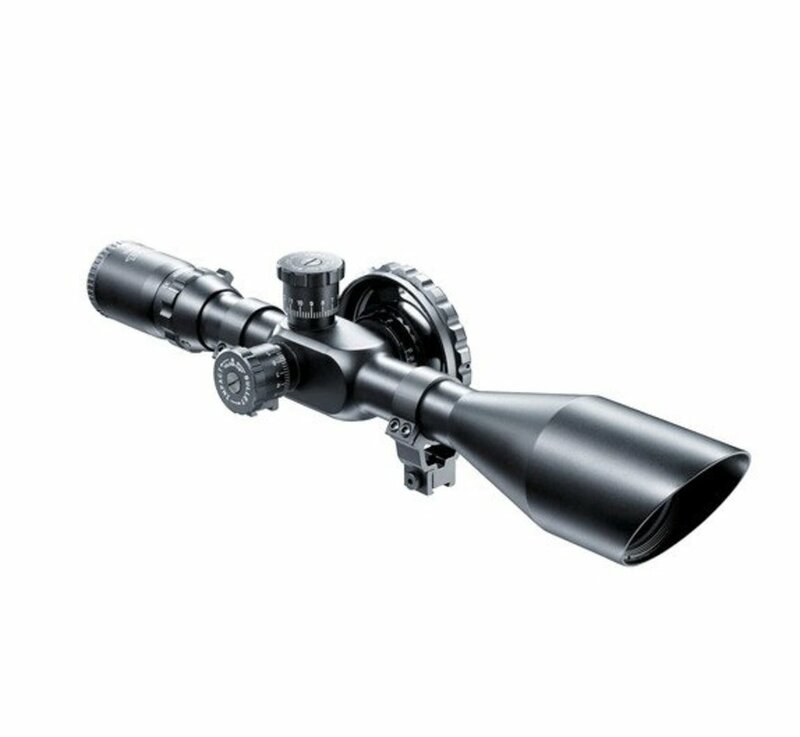 Walther 8-32 x 56 Scope. 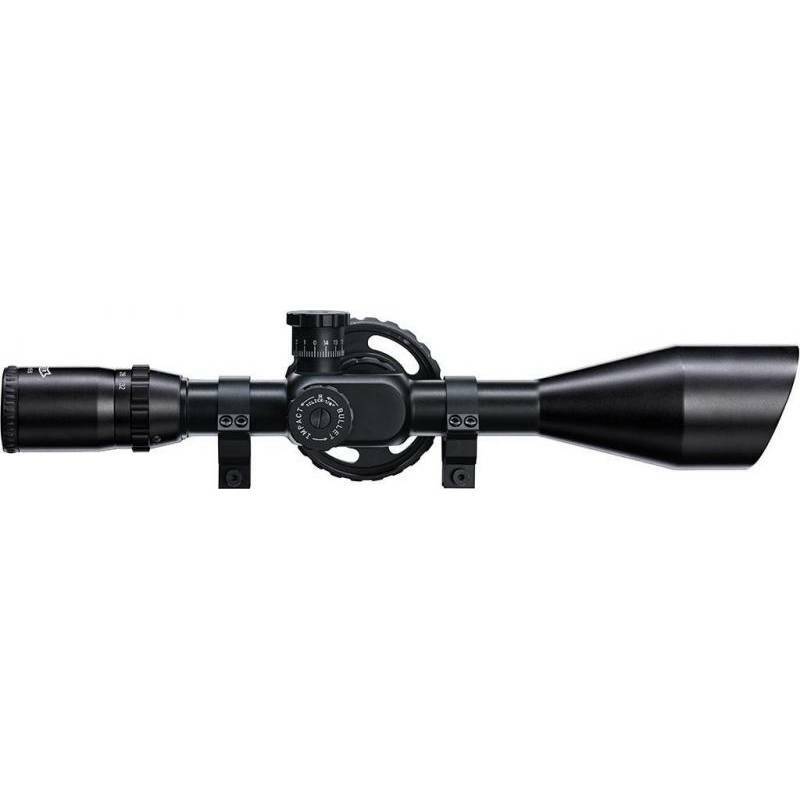 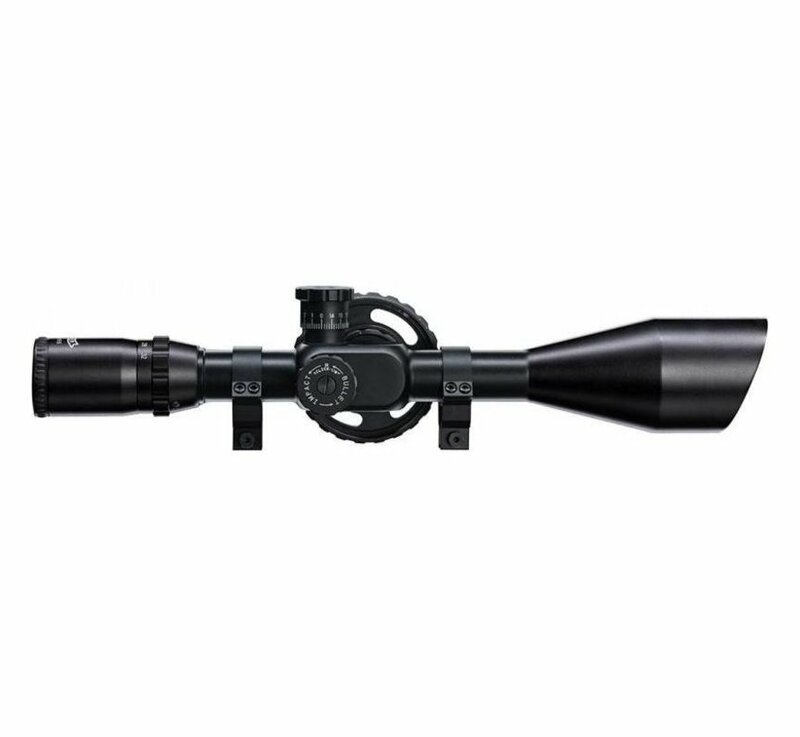 Variable 8-32x magnification and a 56 mm objective, ensuring plenty of light-gathering power. 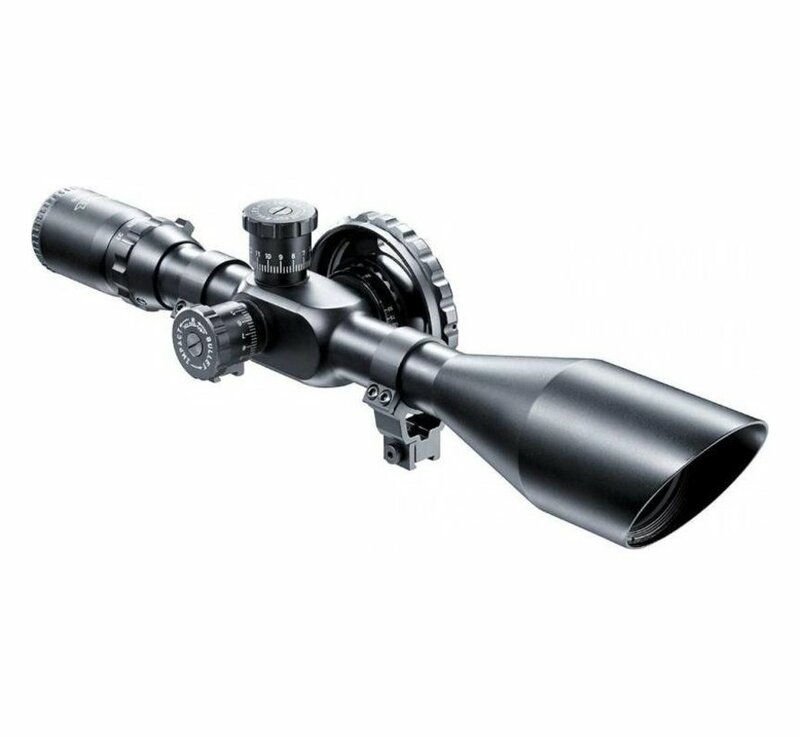 Sunshade and high mount rings included. 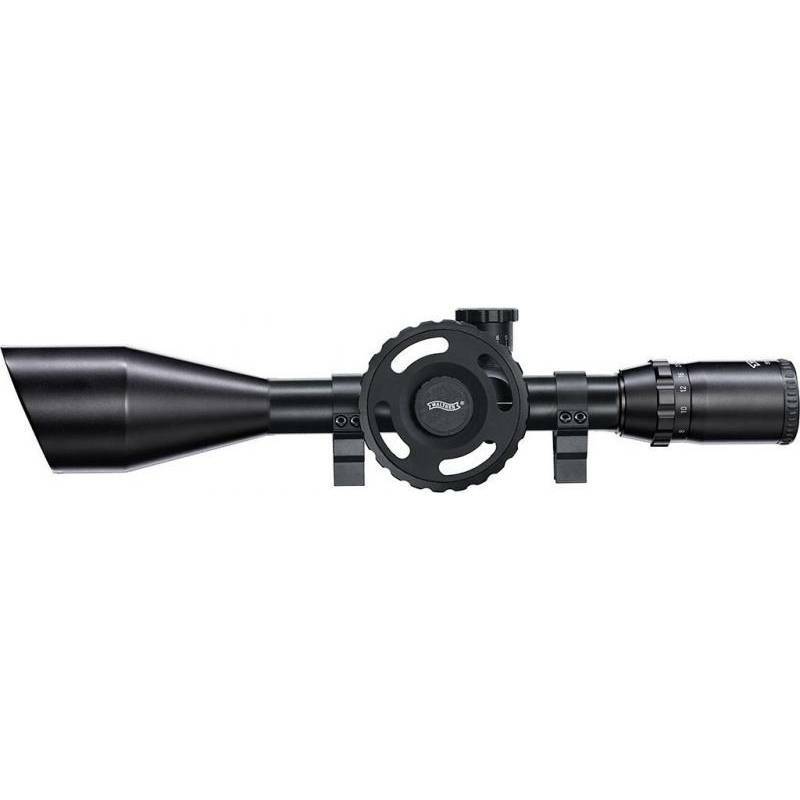 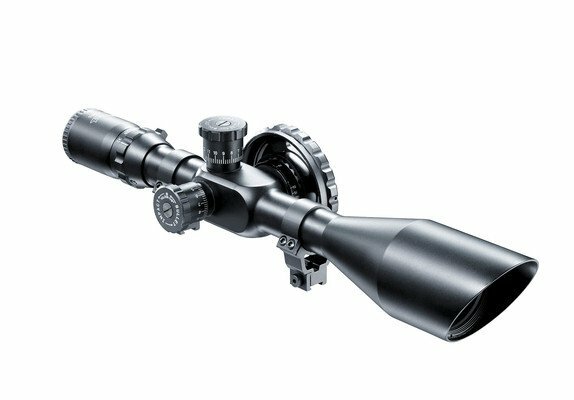 The scope features a mil-dot reticle and a sidewheel parallaxe adjustmant for distance measurements and high adjustment turrets with MOA scale.